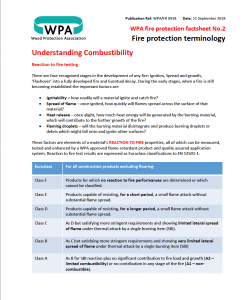 • Ignitability – how readily will a material ignite and catch fire? • Spread of flame – once ignited, how quickly will flames spread across the surface of that material? • Heat release – once alight, how much heat energy will be generated by the burning material, which will contribute to the further growth of the fire? • Flaming droplets – will the burning material disintegrate and produce burning droplets or debris which might fall onto and ignite other surfaces?